Throughout the generations, advice on feeding babies has continually changed. Much of the advice from past generations ranged from the practical, to the professional to the just plain odd. Nitrates in homemade carrots (and other vegetables containing nitrates) are dangerous; commercial baby food is free from nitrates. Green vegetables before orange and never offer fruits before vegetables – ever. When it comes time for baby to move onto chunkier foods or table foods, many parents are a bit hesitant due in part to the fact that their babies might not have any teeth. It’s a common misconception that babies should not start to eat finger foods until they get their teeth. This is logical because after all, we use our teeth to chew foods of harder and chunkier textures. We seldom ever use our front teeth to actually chew the foods we eat. It is the molars, the big teeth in the back of our mouths, that we actually use to chew our foods with. Now that you’re reading this and thinking about it, you knew that already. Babies won’t get their molars until sometime between the 13-19 month age ranges; that’s quite a long time! Despite the lack of molars, babies have very strong and tough gums that are capable of mashing and grinding soft cooked foods of almost any texture, with relative ease. If you’re unsure about how capable baby’s gums are, just ask the nursing Mom how it feels when baby clamps down. Try this to test if the food is mashable: place a piece of any food that you want to offer your baby between your thumb and pointer finger and gently squeeze it. If you can mash the food between your thumb and finger, then your baby’s gums can certainly mash that same food. 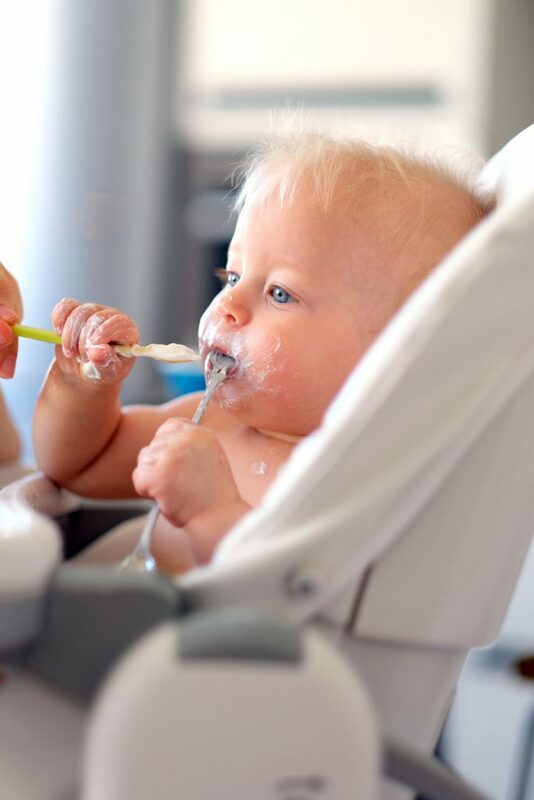 Another thing you might want to do is put the food in your mouth and swirl it around and push it against your cheek with your tongue; if the food is easily mashed, then your baby can surely handle it.
? Read more about Orange Babies here ? One day while you are gazing lovingly upon the beautiful child you created you feel like something is amiss. Suddenly it dawns on you, your baby’s nose is orange and, as a matter of fact, so are her cheeks and oh my goodness, the palms of her hands are orange too! There’s no need to panic. Your baby may be turning orange due to Carotenemia. Take of fresh cow’s milk one table-spoons full, and mix with 2 table-spoonsfull of hot water; sweeten with loaf-sugar as much as may be agreeable. This quantity if sufficient for once feeding a new-born infant; and the same quantity may be given every 2 or 3 hours — not oftener — till the mother’s breast affords the natural nourishment. Take 1 pint of milk, 1 pint of water; boil it and add 1 tablespoon of flour. Dissolve the flour first in half a teacup of water; it must be strained in gradually and boiled hard for 20 minutes. As the child grows older, one-third water. If properly made, it is the most nutritious, at the same time the most delicate food that can be given to young infants. This book also recommends stale bread as a staple in the diet as well as liberal amounts of sugar in fruits and vegetables. 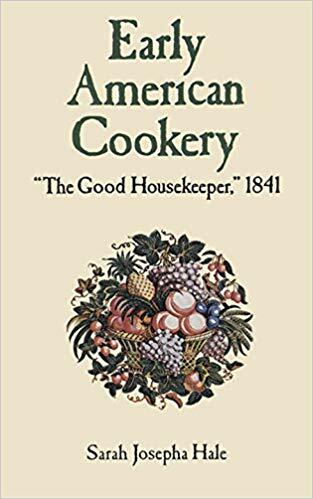 I wonder what the author would think of her feeding advice and recipes in this day and age considering the studies and research in nutrition. Baby’s intestines should be fully “closed” – it is said that the lining of an infant’s intestines are “open” and porous. Foreign proteins (such as food particles) may be passed through the intestinal wall if it has not matured and is still open.